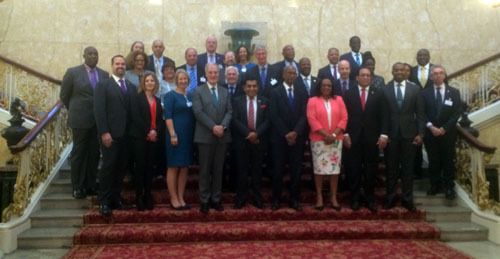 OT Leaders and their hosts at Lancaster House. Ian Lavarello is second from the left in the back row. 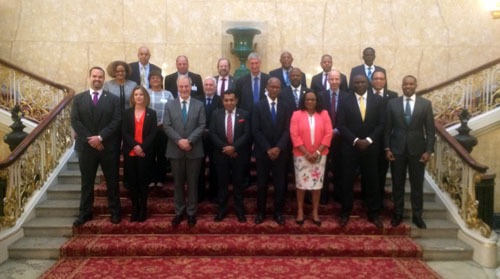 OT Leaders, representatives and their hosts at Lancaster House. Ian and Chris can be found in the back row. 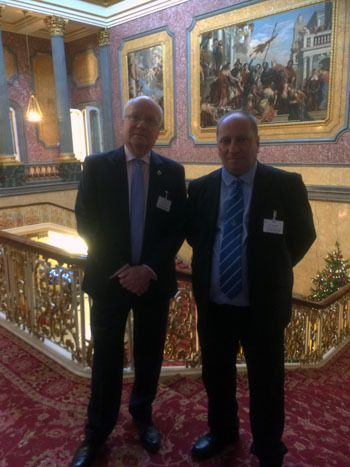 On Tuesday evening, Ian was invited to the Queen’s annual Diplomatic Reception. 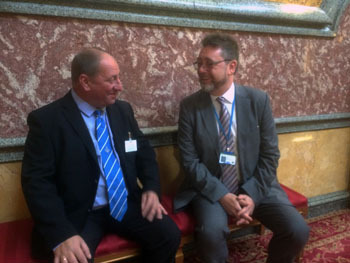 He got the chance to meet Her Majesty, HRH Prince Charles and HRH Prince William. The Chief Islander conveyed to the Queen the loyal greetings of Tristanians. 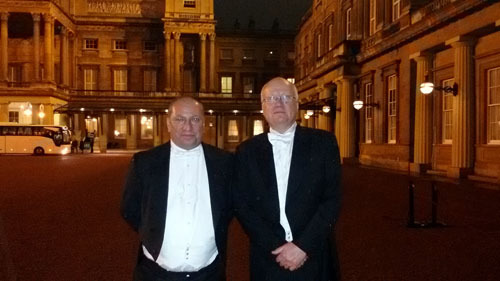 Photos shows Ian and Chris (who also attended) in a Buckingham Palace courtyard after the event. Photography was prohibited inside by guests, but we hope to obtain and publish official photographs of the event soon.